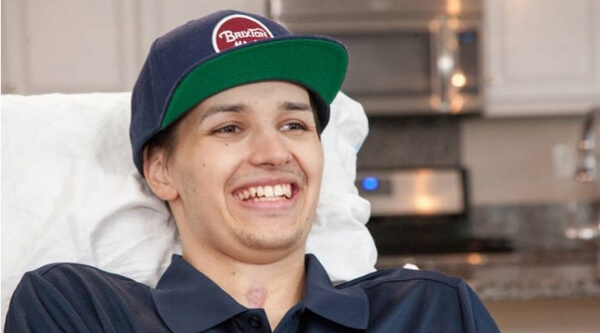 First Paralyzed Human Treated With Stem Cells Has Now Regained His Upper Body Movement - ShareIt! The life of Kristopher Boesen was instantly changed when he lost control of his car on a slippy road surface and slammed into a tree and lamp post. This accident paralyzed him from the neck down, and doctors predicted that he might never be able to function from the neck down again. Then, he was offered to undergo an experimental procedure with stem cells, which ‘have the capability to repair injured nervous tissue through the replacement of damaged cells’. Yet, even though this method did not guarantee any restoration to his paralysis, Kris thought that the risk was worth taking. In April, leading the surgical team and working in collaboration with Rancho Los Amigos National Rehabilitation Center and Keck Medicine of USC, Charles Liu, MD, Ph.D., director of the USC Neurorestoration Center, injected an experimental dose of 10 million AST-OPC1 cells directly into his cervical spinal cord. (These cells come from donated eggs fertilized in vitro (ie. in a petri dish). After three weeks, the condition of Kris started improving. Within two months, his motor functions significantly improved, he was able to operate a wheelchair, answer the phone, and write his name. His movement abilities were drastically enhanced after Kris recovered two spinal cord levels. Even though doctors cannot promise any additional improvements in the future, they keep experimenting with stem cell research to try and improve his chances. They are working hard to solve paralysis, and teamed ‘associate faculty based in departments across KSOM and the University to study stem cell-driven new medicine’. Despite paralysis, the stem cell therapy can be used in various other ways as well, from diabetes, Parkinson’s, to cancer. ← Do You Know What It Means If You See Square Waves In The Ocean? Pictures Inside!